ADRINKWITHFRIENDS PRESENTS: SPIN! WITH RICH MEDINA X MISS H.E.R. X DJ LIFE — MISS H.E.R. You DO NOT wants to miss this! 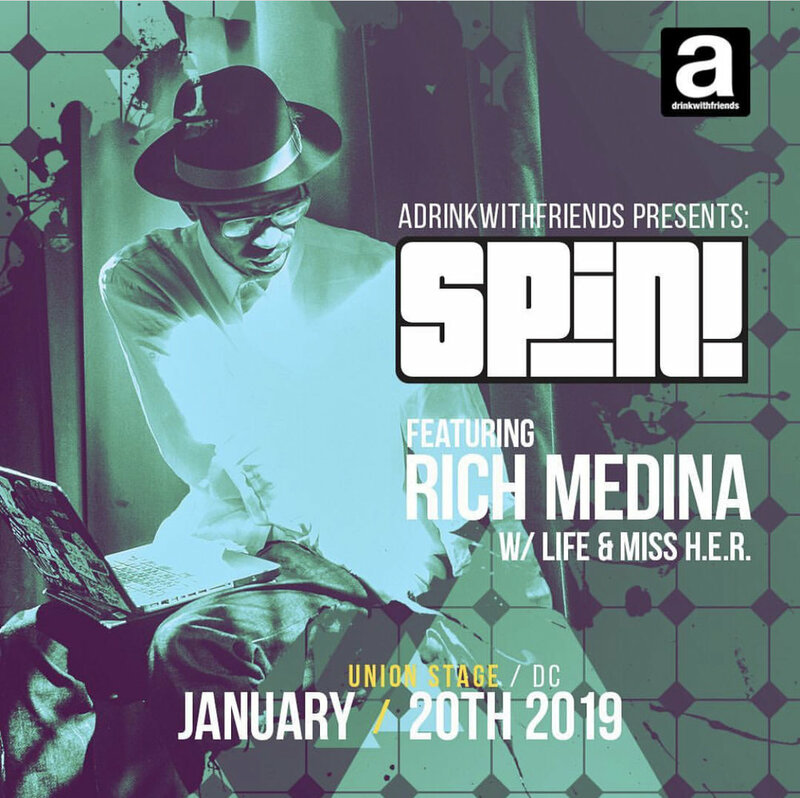 The one and only Rich Medina will be in D.C. to provide us with all the funk and soul that our bodies need! Early bird tix are $10! Visit @adrinkwithfriends for details!